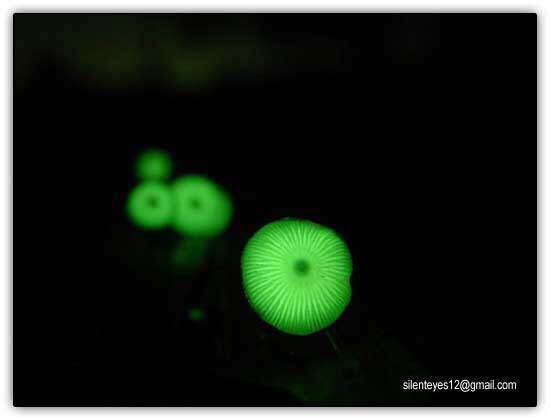 During the rainy season in some regions of Japan, are beginning to populated forests of small lights in the trunks of trees and into the moist soil fungi grow hundreds of bioluminescence, which through a chemical reaction produced by an enzyme, emit a light that shines on a greenish tone. 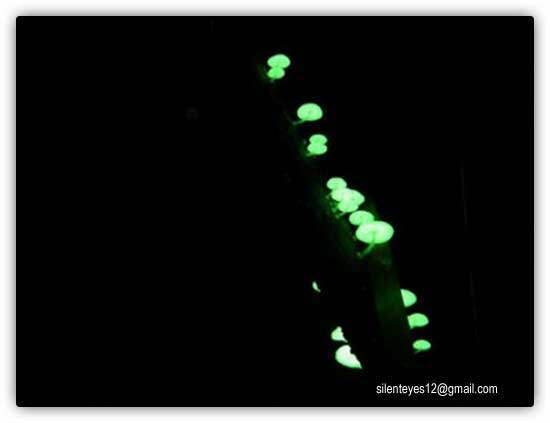 The reason for the phenomenon of still bioluminescent fungus has not been explained scientifically, but according to the theory, is believed to be a response to the need for survival: to shine, attract insects that help disperse spores in an environment where the dispersal by wind is very limited. 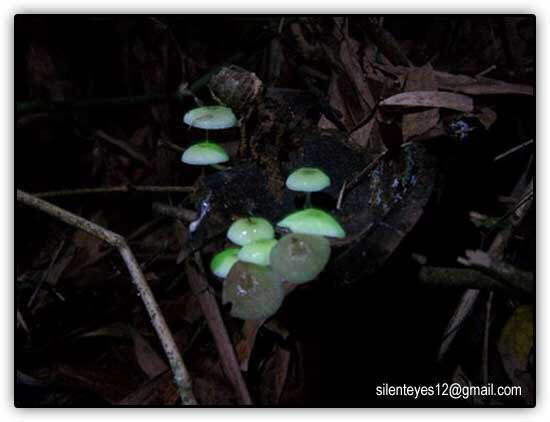 Luminescent fungi, grow only in native forests with lots of trees, where humans have interfered very little, so its discovery is relatively fairly recent. 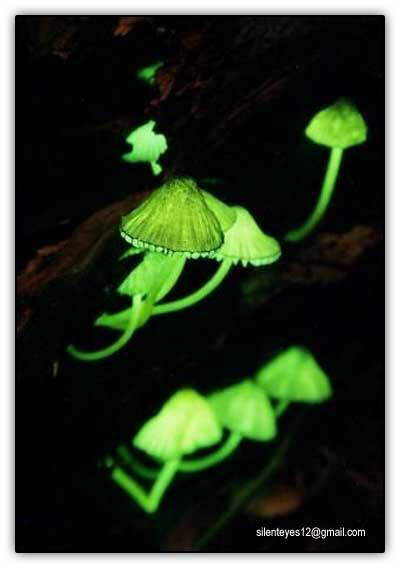 The phenomenon of luminescent fungus occurs between late May to July in the forests of the island Mesameyama in Ugui in Wakayama Prefecture, but copies have been found in coastal areas south of the Kii peninsula in Kyushu and other regions. Thousands of guests nightly visits guided by the forests of Masameyama to dazzle with the show. 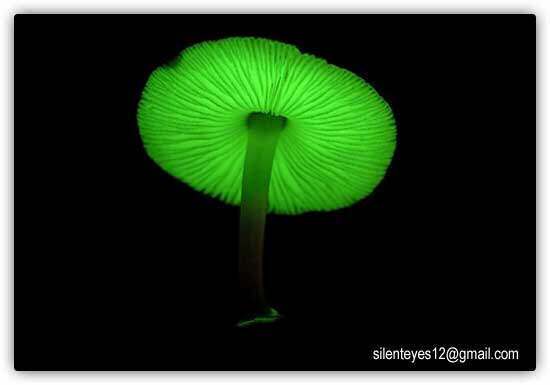 Only in Japan, there are 10 varieties of luminescent fungi. Although small, fungi living a few days, and can shaping a true "constellation" that seems to mimic in a tiny scale the starry sky. The kind of image is known as Mycena lux-coeli, something like "mushroom of heavenly light." 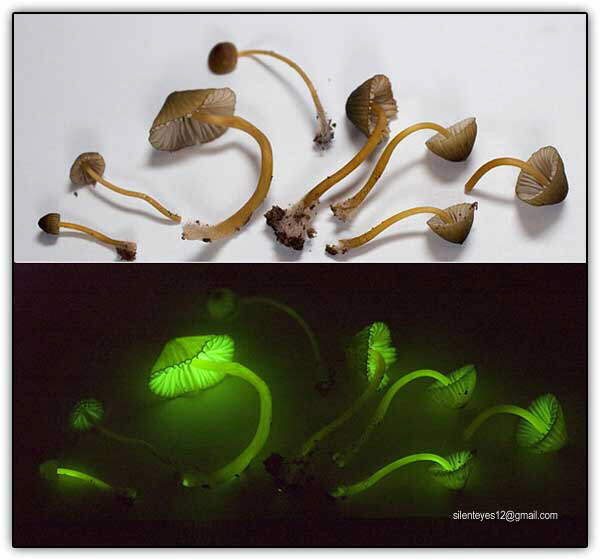 There are other varieties of bioluminescent fungi that grow in the forests south of Brazil (Jack-o-Lantern Mushroom), able to cast light throughout the day.